30% off all orders placed during Thanksgiving week. •	Savings opportunities that can’t be good for up to 20% or more off traditionally advertised prices can be found in the SALE section of the My Thread Lab website. •	Customers will save using the special promotional offers sent out via the free email newsletter program maintained by the My Thread Lab company. Different deals and discounts will be made available at any one particular point in time, with some coupons good for single items and other deals offering savings on entire purchases. Other member only benefits will be sent out through this email program as well. •	Free shipping offers are available from time to time directly on the My Thread Lab homepage. The Thread Lab company streamline men’s shopping, with ease and proficiency, fitting for every day, active male customers. This service gives shoppers customizable options, including the three varieties of clothing essential boxes tailored especially to men: the starter box, the essentials box and the full kit box. Customers can select between 2-4 designer garments in the starter box, 3-5 garments in the essentials box, or 5-8 garments in the full kit box. Thread Lab has managed to compartmentalize men’s apparel needs into a simple, practical format designed for individual tastes and preferences. Both minimalists and avid male shoppers can find a kit that suits their needs. 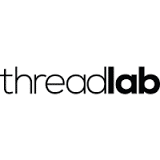 For most up to date offers check out Threadlab on Facebook and Twitter or contact Threadlab Support for any questions.